The first new non-stop flight between Singapore and New York departed Changi International Airport last night and arrived at Newark Liberty International Airport earlier. The first ultra-long-range Airbus A350 XWB to be delivered to launch customer Singapore Airlines has rolled out of the paintshop in the carrier’s livery. Now at an advanced stage of production, the aircraft will undergo further testing before being delivered to the airline in the coming months. Singapore Airlines will launch non-stop flights between Singapore and Los Angeles using the new Airbus A350-900ULR (ultra-long-range) aircraft in November. Singapore Airlines has signed its first new distribution capability connection, with travel search site Skyscanner. Through this connection, customers will be able to book SIA flights more conveniently through Skyscanner. Boeing and Singapore Airlines have celebrated the delivery of the first 787-10 airplane, the newest and largest member of the Dreamliner family. About 3,000 people marked the milestone at Boeing’s facility in North Charleston, South Carolina where the latest 787 model is manufactured. The first ultra-long-range version of the A350 XWB has rolled out of the Airbus final assembly line in Toulouse. The latest variant of the best-selling A350 XWB family will be able to fly further than any other commercial airliner and will enter service with launch operator Singapore Airlines later this year. 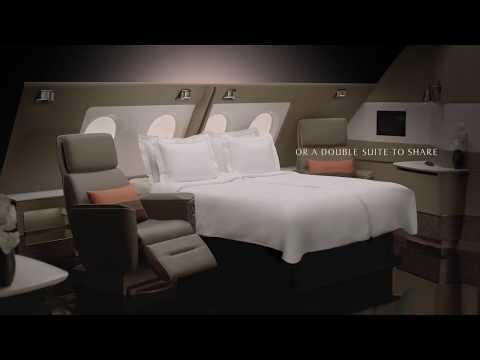 Singapore Airlines today announced that London and Hong Kong will be the next destinations to be served by its newest Airbus A380 aircraft, featuring the airline’s recently unveiled new cabin products.